Today was a story of ties as three of the five sections finished with large ties for first place. Three masters participated in the top quad. 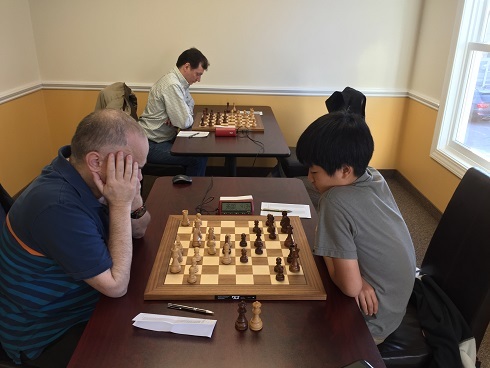 NM Ian Harris and NM Yoon-Young Kim had a nail-biter draw in round two and finished the tournament tied with 2.5/3 each. Eric Zhang, Ryan Young and Nathaniel Shuman shared first place with 2/3 each in quad two. 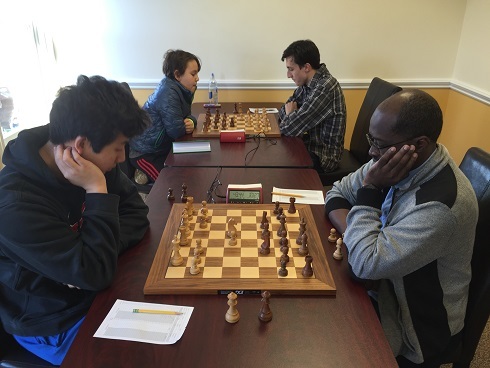 Quad three was another three way tie, this time between Ethan Cushman, William Ewald and Thomas Ewald. Jack Klein won quad four with a perfect 3/3 score. Finally, Yikuan Zhou had the only other perfect score of the day, winning quad five. 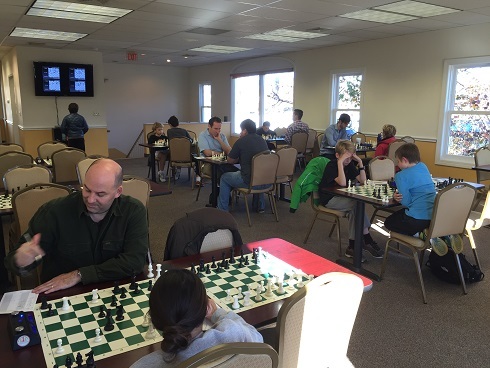 CCFC will still be hosting quads over Thanksgiving weekend. We hope to see you there!